Mother’s Day is coming up and I have the perfect gift for you to give to your mom….time with you! My mom always says she wants time to spend with her daughter and it makes sense. Imagine you spend years with your child relying on you and then all of a sudden they are grown up and out on their own- working, raising kids, and just busy with life in general… you don’t see them as much and when you do it’s typically with the grandkids in tow. We know grandma loves the littles but she probably really misses spending time with you. 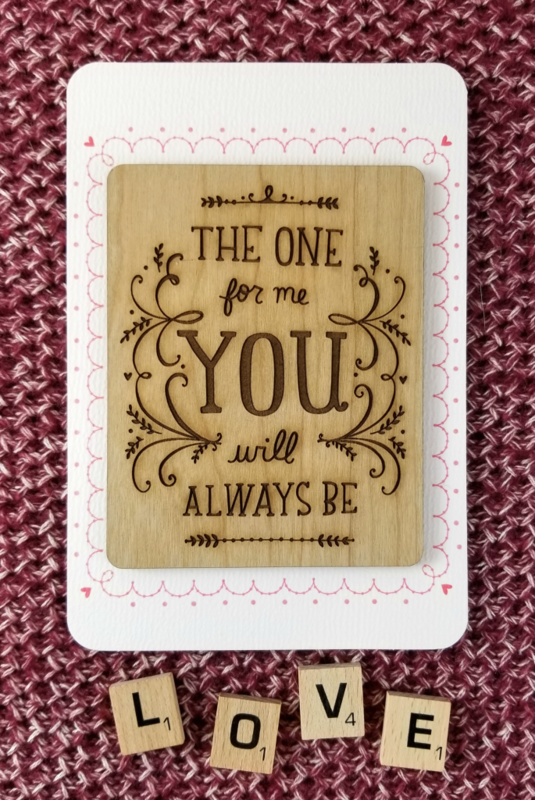 So, in brainstorming some ideas for mother-daughter time, I thought about a creative gift idea that is super simple and will show mom just how TEA-rific you think she is. With the weather getting warmer, and my mom liking iced tea, I created an iced tea gift basket. 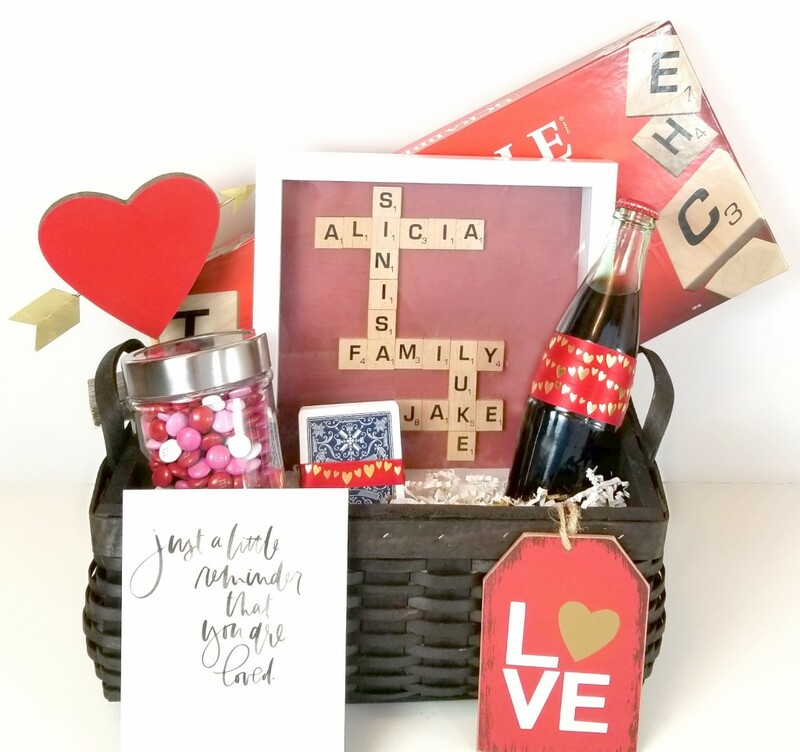 This thoughtful gift, complete with two cups (one for you and one for mom! ), shows her that you want to spend an afternoon on the patio listening to her tell stories while the two of you sip iced tea. I decided to make the gift basket colorful because iced tea reminds me of summer and I wanted my gift basket to reflect that. I added a handtowel, two tumblers, coasters, a fun-shaped ice cube tray and a cute carafe. 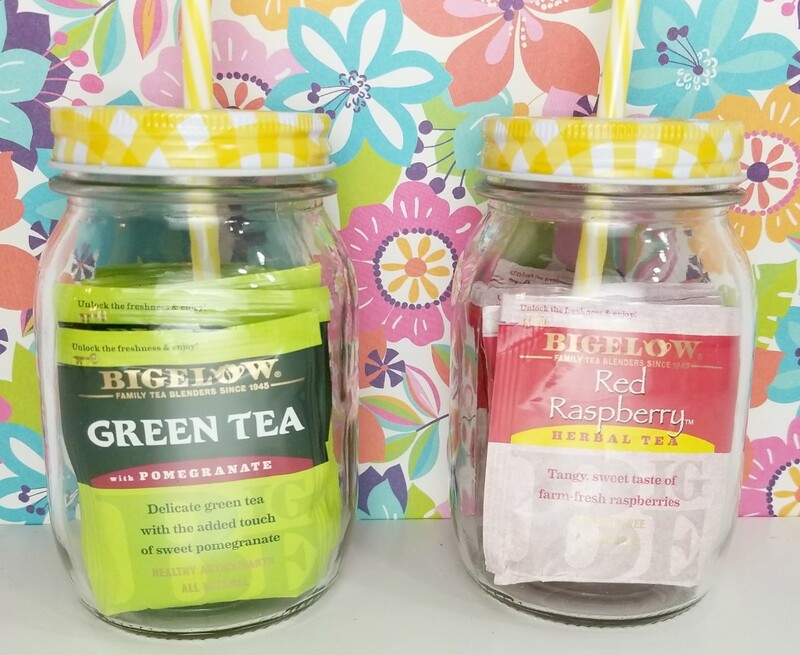 I also put Bigelow tea packets inside the tumblers. I chose Bigelow Tea (manufactured right here in the U.S.) because it’s my family’s favorite brand of tea. Known for their quality ingredients and foil packaging that keeps the tea fresh, it’s the perfect addition to a gift basket for mom. When it came to flavors, I picked out fruity flavors of tea since I thought they would fit in well with the sunny day themed basket. Great choices include: Red Raspberry Herbal Tea, I Love Lemon with Vitamin C Herbal Tea, and Green Tea with Pomegranate. 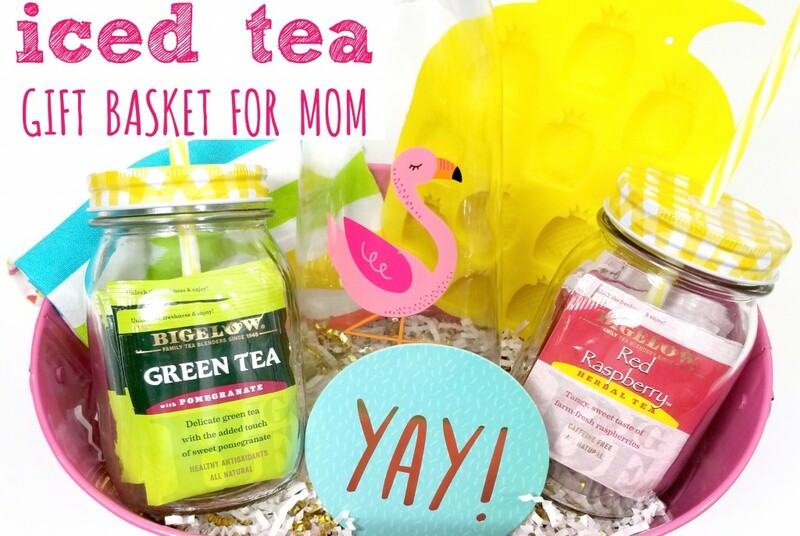 Along with the gift basket you can also brew some iced tea for mom. I made iced tea using the Red Raspberry Herbal Tea and then put it in a “mom” tumbler before we headed outside to enjoy the sunny day. So give mom the gift she wants most of all and bond over cups of delicious iced tea. 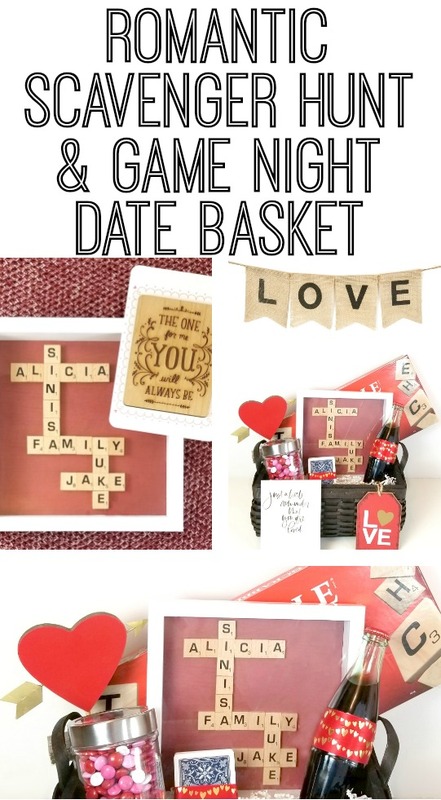 Before you leave make sure to remind her that she’s hosting your next mother-daughter get-together and she has all the tools to do so thanks to the sweet gift you gave her! Find all your favorite Bigelow Tea flavors at your local Walmart! 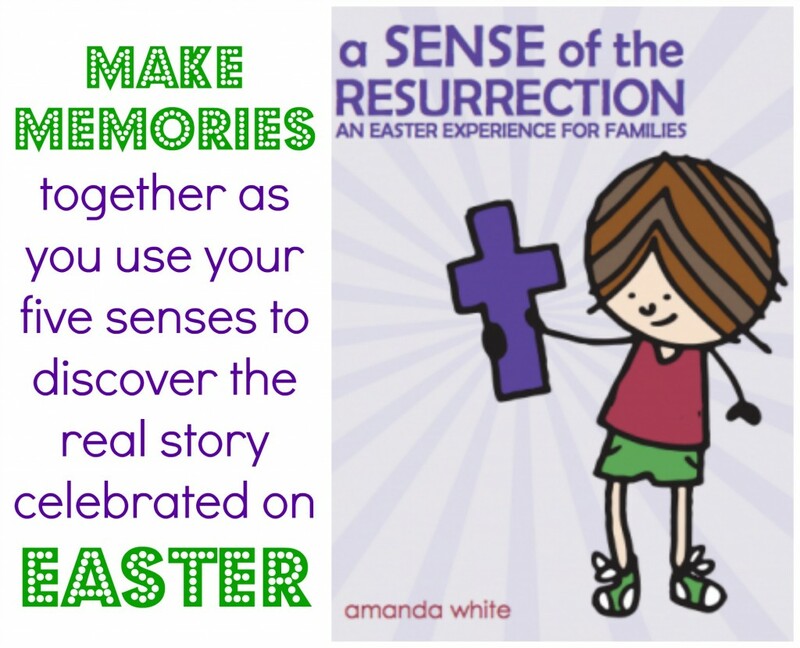 Thanks to CROSS pens for sponsoring this #LongStoryShort post. For as long as I can remember I have loved to write and it’s something that’s come out in various ways as I have grown. In grade school one of my favorite assignments was to create a homemade book, and I spent hours perfecting my story line and illustrations. When I was in Junior High I wrote the story of my sister’s preemie birth to document that day and share about my experience during her NICU stay and beyond. Throughout the years I have had dozens of book ideas in my head and have half written manuscripts tucked away in my home. As an adult I started a blog to express myself after giving birth to my first born child. This blog, Making Time For Mommy, started as a hobby for me. I wanted to write about my dreams and goals and how I made time for myself, even if nobody ever read it. I realized that I could connect with other moms through it and started writing to them and sharing my posts on social media. Eventually I discovered that this hobby of mine was turning into a business. 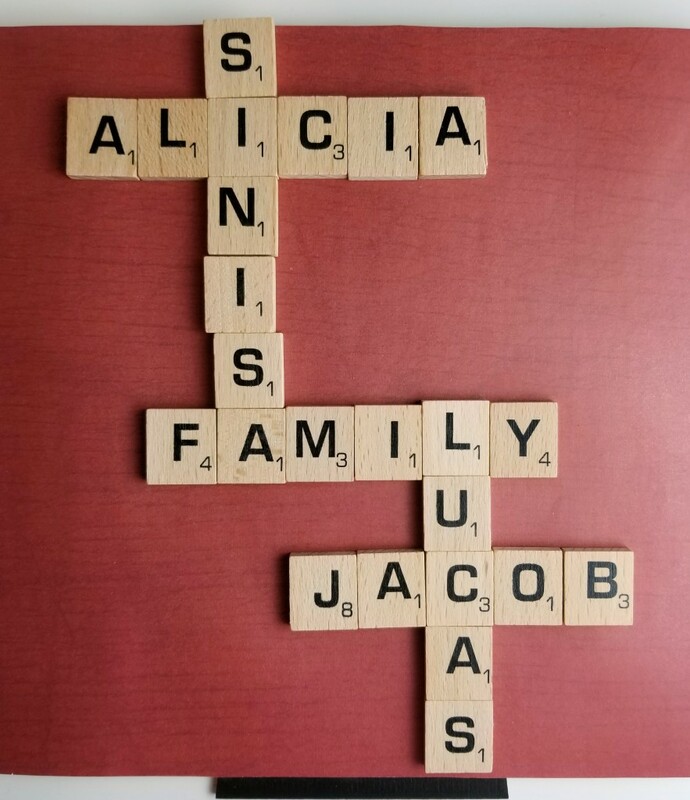 Though I still wrote for myself and for my readers, I was able to start making a bit of money to help contribute to our family (which, with the addition of my youngest, had become a family of four). At that time, even a tiny bit of income helped greatly and brought us from poverty level into what is considered the lower middle class. It also allowed Sinisa to cut down his work hours by only having to work one job instead of two. When my blog led to a full-time job online we became a two-earner family and I quickly became the breadwinner in our home. Me. 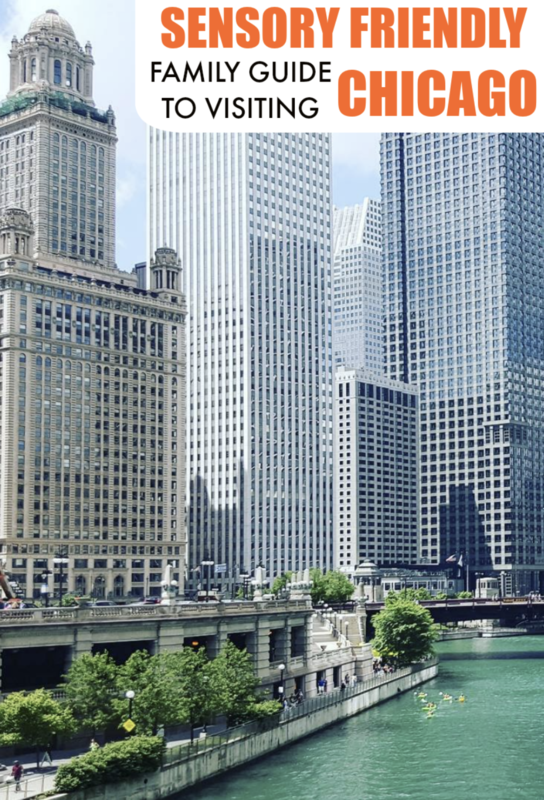 This mom, who had never finished college, was able to make an income from home while raising two children and it was all because of my writing “hobby”. I now blog full-time and feel so blessed to be able to do something I absolutely love every day. Do you know a budding writer? Give them the gift of writing and encourage them to follow their dreams- whether it’s writing the novel that’s in their head or turning writing into a career like I did. A fabulous gift for them this holiday season (or really any time) would be a beautiful pen by CROSS. CROSS pens are luxury fine writing instruments that symbolize achievement, accomplishments, and human potential. The pens can be engraved with the word or saying of your choice. 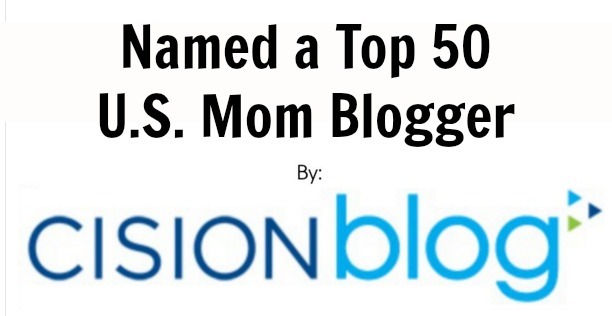 I chose to get mine engraved with “MOM BOSS” to celebrate my blogging business but the options are endless! What writer in your life would love the chance to express their dreams with one of these amazing pens? 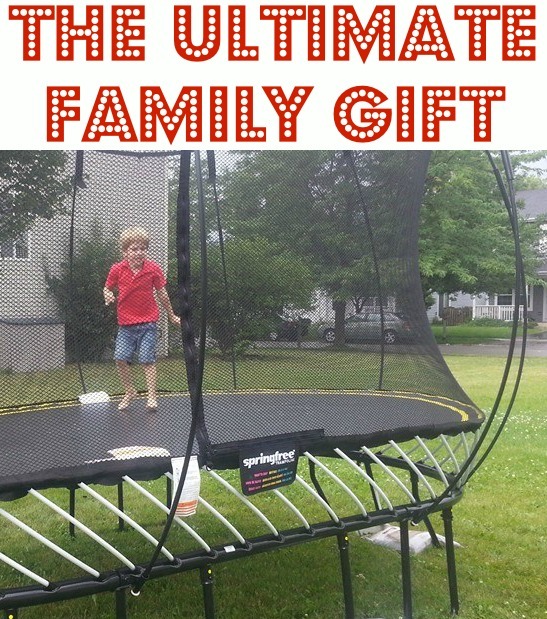 Sometimes blogging offers such amazing opportunities for my family and I was lucky to be able to treat my boys to the best gift ever this summer- a fabulous Springfree trampoline courtesy of the company. Their faces when they saw it were priceless. They were so excited and I loved being able to give them such a special surprise. If you are still looking for a gift for your family, Springfree trampolines will create hours of fun for years to come. Imagine family gatherings, those long summer days and more, all spent outside together. You’ll also have the confidence in knowing that you’ve chosen a safe gift for your family. A new study from the Journal of Pediatric Orthopaedics shows that from 2002 to 2011, trampoline accidents accounted for more than 1 million ER visits. This equates to 100,000 ER visits a year in the US alone. Springfree eliminates 90 percent of product-related injuries associated with traditional trampolines. Springfree is the only trampoline on the market that offers a safe jumping environment by removing the impact areas that can cause injury including risks from the springs, the frame at the jumping surface, falls to the ground and collision with rigid enclosure poles. 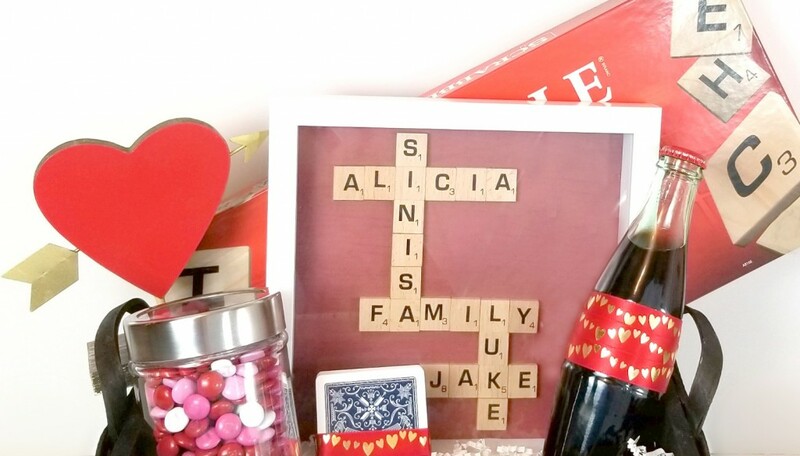 Plan an elaborate Springfree Surprise for your family this holiday season. Film or photograph the surprise. Upload your photos/videos/stories to the Springfree Surprise page by December 31st. Share your surprise on social media with the hashtag #SpringfreeSurprise. My boys are really into Angry Birds lately. They love the phone app but they also enjoy playing with the playsets. I shared about the small set we got back in October (find the review here) and this month Hasbro sent us the ANGRY BIRDS GO! 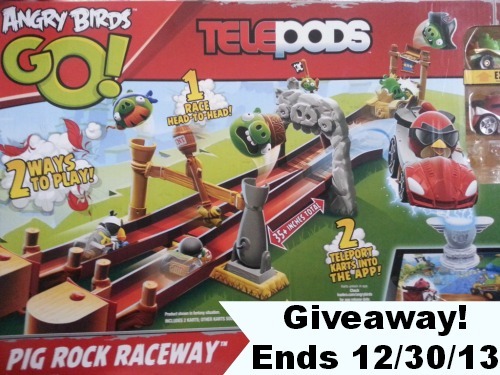 TELEPODS PIG ROCK RACEWAY Set. This set is so much fun! Lucas was home sick from school today and, once I set it up for him, spent over an hour playing with the set (which is great for him considering he doesn’t have much of an attention span). Two of the birds are in little cars and, with the push of a button, race each other along this long race track. There are extra obstacles you can add to the excitement but for my four year old the basic racing was enough to keep him occupied. It was so cute listening to Lucas say, “you win! yay!” over and over again when one of the cars would get to the end of the track. Another way to play with the characters from this set is to use the phone app and teleport your angry bird into the game. The boys think it’s so cool that they can do this. Giveaway ends December 30, 2013 at 11:59pm CST. Must be 18 or older and a US resident to enter. Jacob is afraid of the dark. Every night we have to have the hallway light on because his nightlight doesn’t give off nearly enough light. We received a flashlight friend for review and, while both boys are loving it, Jacob is especially fond of it because their new stuffed friend has a light in his belly so Jacob has a great light for the dark. Flashlight Friends are available in four styles: dragon, penguin, puppy and unicorn. I love that the Flashlight Friend is soft and huggable because many of the other light up things we own are hard inside and not something that the kids can sleep with. To turn the light on all the kids have to do is tap the tummy light twice. Another great feature is that the light shuts off automatically 10 minutes later so I won’t find the light still on when I go upstairs to check on the kids before I go to bed. Flashlight Friends can be purchased online here. Yesterday I posted a video with some great tips on choosing educational toys. I learned a lot of valuable information, including more about how toys are developed at LeapFrog. You can find the video here. I’m so excited that LeapFrog is letting me host a giveaway for you all! We have an old LeapPad and the kids love it! One of you will win a LeapPad2 Power, 2 games and $20 app card. The total value of this giveaway prize is $170. Wouldn’t this make a perfect Christmas gift!? Create, learn and explore with the #1 kids’ learning tablet*—now with an easy, one-step recharger built just for the LeapPad2- a $40 value! You’ll never have to buy batteries again! The LeapPad2™ Power learning tablet includes 9 apps, 4GB memory and loads of exciting features in a kid-tough tablet designed just for kids! Take pictures and videos with front-and-back cameras/video recorders. Play, draw and write on the 5″ touch screen with the included stylus. Tilt and shake for motion-based play, customize and care for a lovable pet, and create masterpieces in the Art Studio. 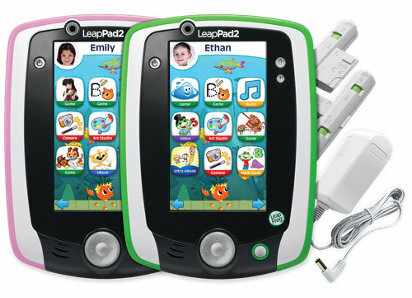 LeapPad2 Power works with LeapFrog’s library of 800+ educator-approved apps, games, eBooks, videos, music and more. ** Learning games draw from 2,600 skills and select games auto-level, adapting to your child’s pace in subjects like reading, writing and mathematics. With 4GB of storage and an included rechargeable battery pack, the learning fun never ends! • Charge and go with a long-lasting rechargeable battery pack and AC adapter included. Get up to 9 hours of play time with each full charge! • Create, learn and explore with the #1 kids’ learning tablet. Now with an included one-step recharger pack—you’ll never have to buy batteries again! • Features front-and-back cameras/video recorders, eReader, music player, motion sensor, 5″ touch screen and 4GB memory. • LeapPad2™ Power includes 9 apps (onboard and downloadable): Photo Lab, Art Studio, Pet Pad, LeapFrog Learning Songs and more. • Works with LeapFrog’s educator-approved library of over 800+ games, eBooks, videos and more. • Compatible with LeapFrog Explorer™ cartridges and apps (sold separately) and LeapFrog LeapPad2™ accessories (sold separately). You can also connect to the LeapFrog Learning Path to see the details of your child’s play and learning, including levels achieved, skills practiced and recently played games. Celebrate accomplishments with online rewards, and gather ideas to support and expand the learning. Giveaway ends November 1, 2013 at 11:59pm Central time. Must be 18 or over and a US resident to enter. Have a child who is really into animals? Or maybe one who wants to know everything about everything? If so, they will love GeoSafari Jr.’s Animal Eye Viewers from Educational Insights! These viewers let them see the world through an animal’s eyes. Three viewers come in the box: shark, insect, and a chameleon. Did you know that sharks can see what’s behind them? Your child can get a 360 degree view with rear-view mirrors, central blind spot, and an ocean-blue tint! They will think they are swimming in the ocean. Did you know that instects can detect movement faster than we can? Your child will see dozens of mini-images with this pixelated view of the world. For even more fun, have them run around “bzzzz”ing like a bee! Did you know that chameleons can look in two different directions at once? Your child can look through the viewers that have two independently rotating eyeballs. The shark was Jacob’s favorite animal eye viewer. He had a lot of fun walking around outside while looking through them and was looking at everything up close. He even wore them to the school bus to show his bus driver because he thought they were so cool! Want to find more fun ways to use the viewers? 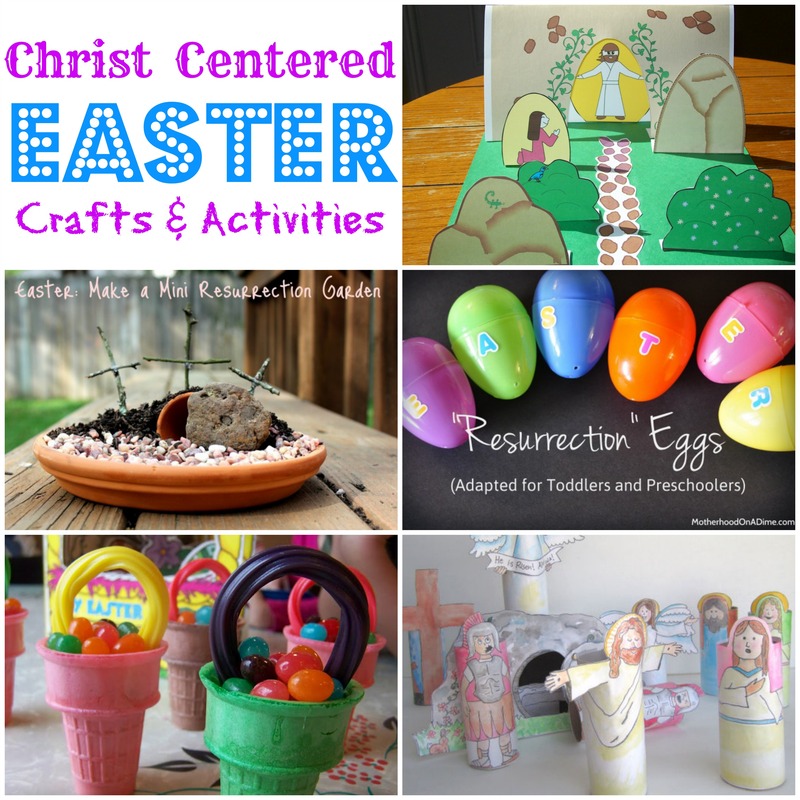 Download free play-and-learn activities online. Giveaway ends October 20, 2013 at 11:59pm Central time. Must be 21 or over to enter. Open to US and Canadian residents. Recent studies have shown that just saying “thank you” is proven to boost health and happiness —promoting a stronger immune system, lowering blood pressure, even helping you sleep. 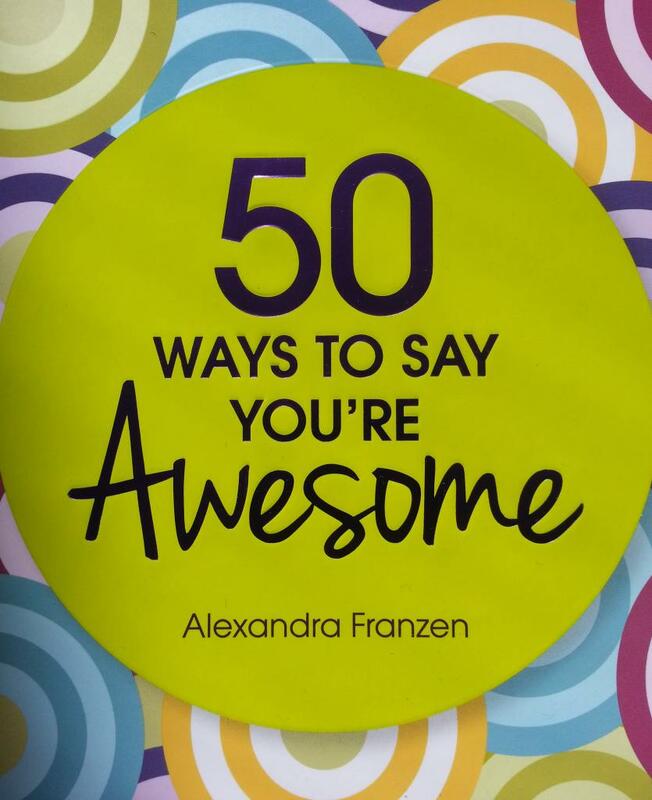 And besides being good for you, saying thanks just got easier with 50 Ways to Say You’re Awesome, a creative and fun way to tell the people in your life that you care. 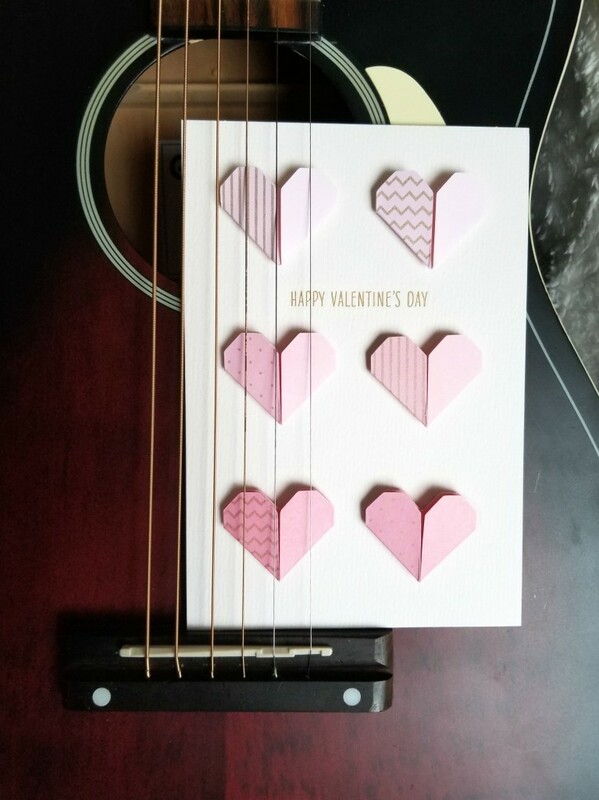 · Tucking a note into your sweetheart’s coat pocket as a romantic surprise? 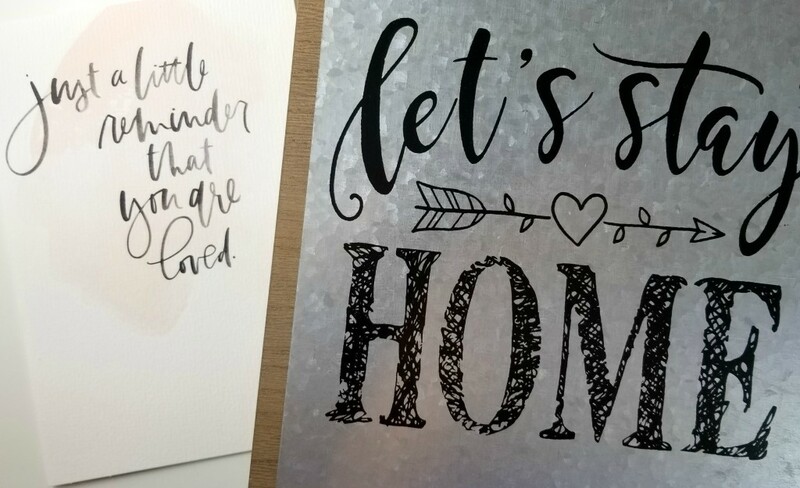 · Framing your favorite note and placing it in your workspace for everyday inspiration? 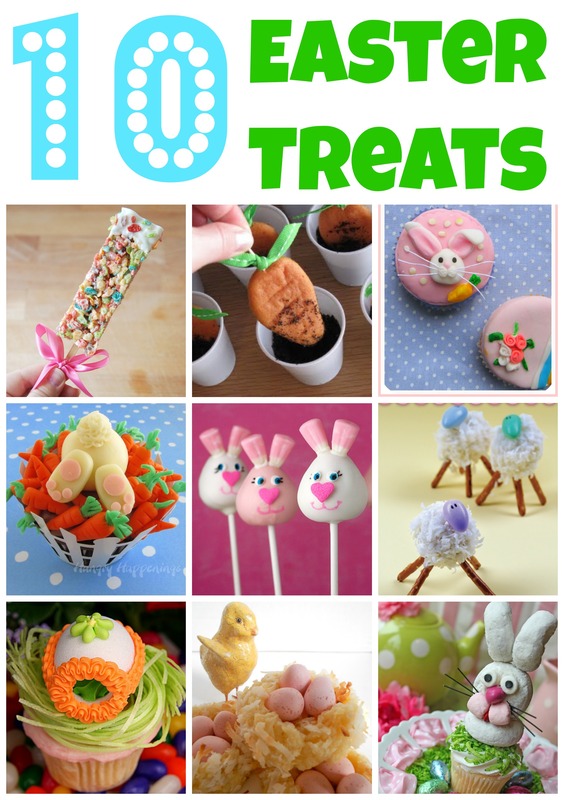 · Rolling the note into miniature cones and filling them with candy for a favorite friend? I love this book because it gives people a quick way to show their appreciation by using old-school communication methods: written and face-to-face! Too often those methods are forgotten and messages come via text message, Facebook and email. I found a variety of messages in there for many people in my life and loved how colorful the pages were. I also liked that the book contained pages with writing prompts. Giveaway ends October 15, 2013 at 11:59pm Central Time. Must be 21 or over and a US resident to enter. 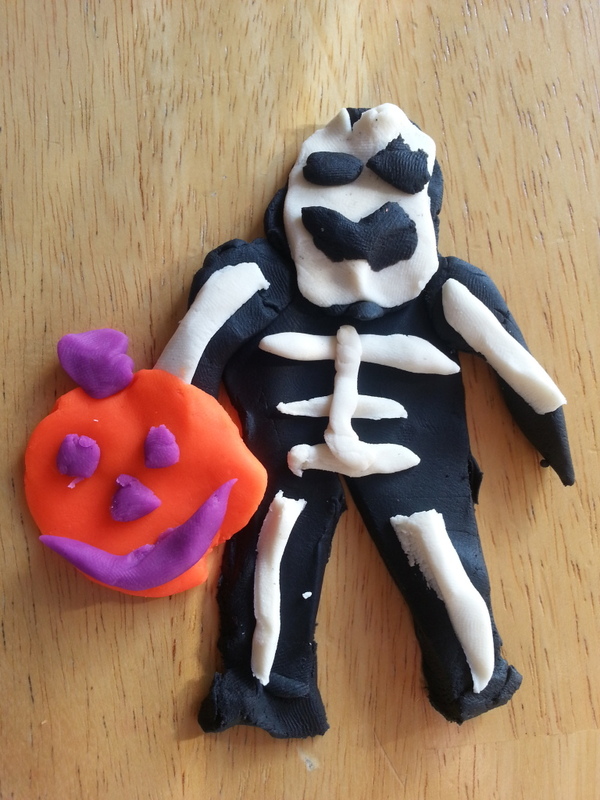 I’ve just been given the opportunity to review the Make A Plate Art Project and I’m looking forward to sharing it with you. I will be posting about my experience when I receive the kit. Some days I feel great about myself and some days, like many women, I have a lot of negative thoughts about myself run through my mind. I should have reached out to that friend earlier. I should exercise more so I can be skinnier. I should not work and give my kids more time. I should have done more from my to-do list today. All of the things that go through my head bring me down and make me doubt the job I’m doing on a daily basis as a woman and as a mom. The truth is, yes there is always areas I can improve on but I’m really doing the best I can with the time and energy I have. That’s why I like these Daily Whisper Inspirational Message cards. They are little business card sized messages with beautiful colors that keep me thinking positively and encourage me daily. They neutralize negative beliefs and unhealthy self talk. One of my favorite cards talks specifically to women who work. As a mom who works from home this is constantly an area where I have a lot of negative self-talk and question myself a lot. Is this the best thing for my family? Am I giving my kids enough time? Most of the time these questions are insinuated by society and by others and not necessarily something brought on by me. I have been a stay at home mom. I have been a working mom. Now I’m a work at home mom and I am so blessed to be able to do what I do on a daily basis and I think what I am doing is best for my family. 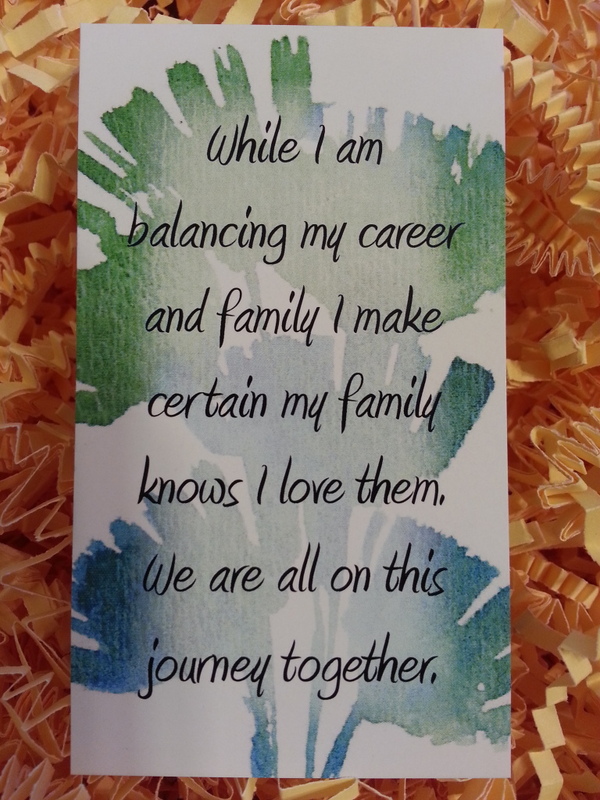 This card reminds me that this is a journey that I am on and my family and I are on it together. It’s also a daily reminder to express to my family how much I love them and am thankful for them. Daily Whisper Inspirational Cards are also now available for teens and children. Each set focuses on the unique challenges faced at these different life stages. 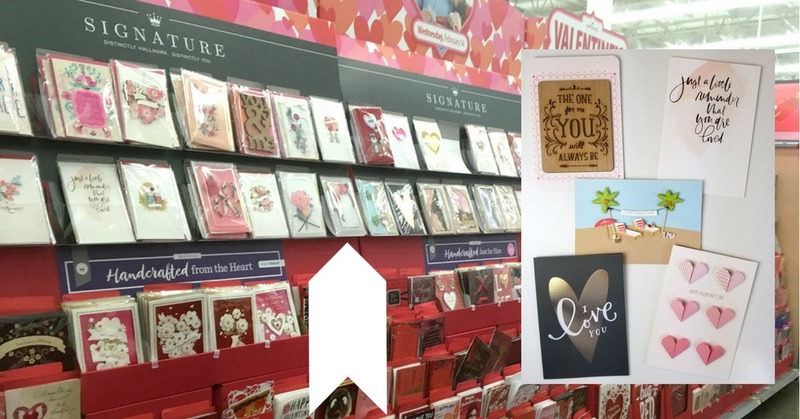 The cards can be bought online here. Have an animal lover in your life? 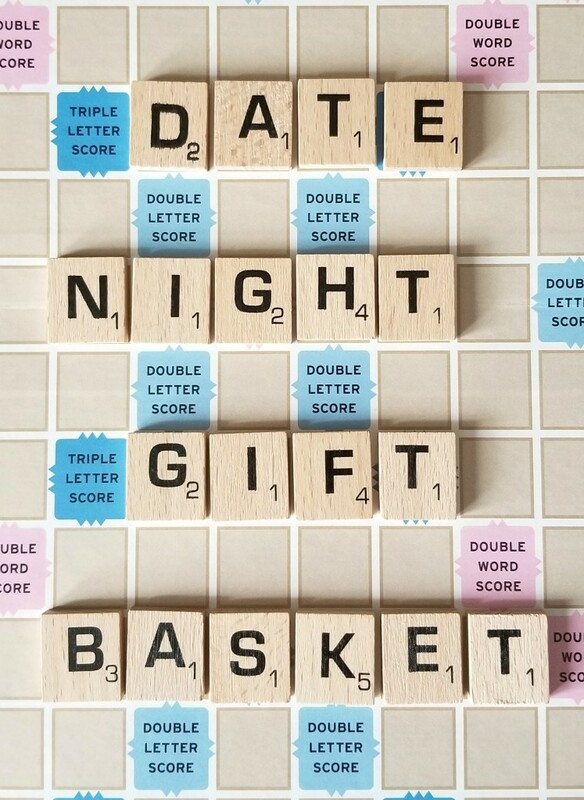 I think I have the perfect gift idea for them! The editors of TIME For Kids magazine have put together a fun book called Zoo 3D Awesome Animal Kingdom. This book is full of 3D photos of animals. The book comes with 2 pairs of 3D glasses so kids can look at the animals as the creatures seem to leap, crawl, fly, slither, swim, and stampede off the pages. The book is packed with close to 100 large-scale, state-of-the art photos taken by master 3D photographer, David Klutho. I put some glasses on and checked out the book myself. The animals and insects all look so real! The tarantula was all hairy and it looked like if I touched it I would feel the little hairs prickling my fingers. I also liked that the book had information about the different workers that the children might find at the Zoo working with the animals. After I was done looking at it I gave it to Jacob. It was funny watching him try to reach out and touch the animals. He normally doesn’t like anything on his face or head due to his sensory issues but he left the glasses on the whole time he was looking at the pictures. This book can be bought from Amazon among other stores. If you are an Amazon Prime member you can get it for $13.57 which is a great deal for this book. With free two day shipping it should be at your doorstep before Christmas! Busy moms know that when you are on the go you want to be stylish and comfortable at the same time. I also like to wear layers so I can easily change what I’m wearing to work for the temperature in the room. 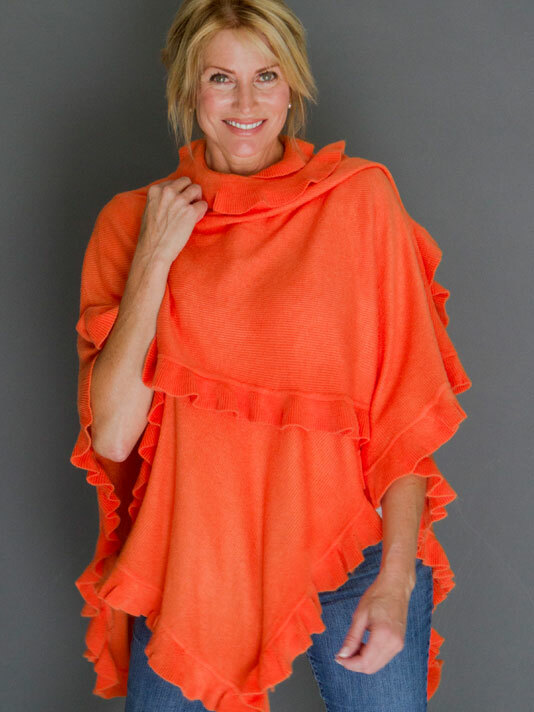 The City Ruffle Shawl from AprilMarin is perfect for my every day life. I love that there are so many ways to wear it. I can dress it up with some jewelry or dress it down with a tank top and some comfy boots. It can be worn several different ways which is fun. I received one in black and have been wearing it over my shoulders to keep warm while I work. This accessory is one size fits all and comes in a variety of different colors. I love the one pictured above and think it would brighten a room with it’s pretty color. Another feature is that it’s machine washable which is great because that means washing it is not a hastle. The City Ruffle Shawl retails for $89. You can find more images of the shawl and a link to purchase one here. For more than 60 years Hickory Farms gifts have been a classic holiday tradition that brings family and friends together. They also make great gifts for those hard to shop for friends and family members. Hickory Farms products can be purchased online at HickoryFarms.com, in 700 holiday stores and kiosks across North America, and in select retailers. My family was sent a Hickory Farms Pack & Go Picnic Tote. A week later and we only have some of the Peanut Brittle left. Sinisa loved the summer sausage and cheese that came in the box. I loved the Peppermint cookies and the mini melt away mints. The boys enjoyed the Holiday pretzels and loved the festive sprinkles that covered them. Giveaway ends December 2, 2012 at 11:59pm Central time. US 18+ only. 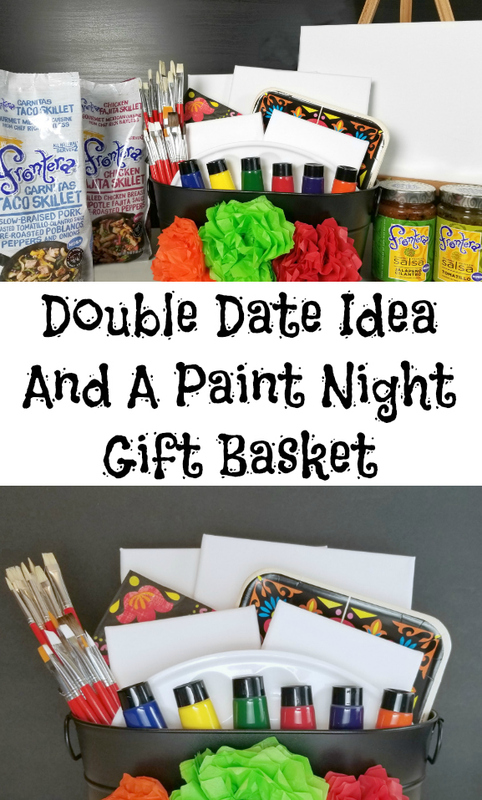 I told you all about Melissa & Doug’s Top Twenty List the other day and promised a giveaway of one of the great gift items on there. It was hard to make up my mind as to which one to giveaway but I really love the one I chose and I hope you will too! This is a great suitcase for traveling on long trips or just weekends at Grandma’s. It has wheels so children can ride it while the parent pulls them around. 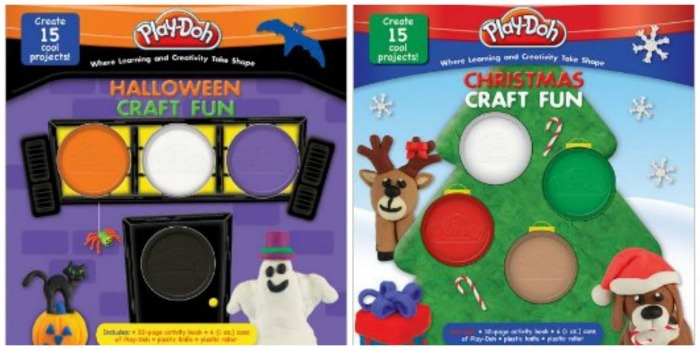 There are also additional stickers that can be purchased so children can personalize it themselves. Giveaway ends November 25, 2012 at 11:59pm Central time. US 18+ only. I wanted to share a new line of beauty products with you called Touch’d which launched yesterday. Touch’d bath and body was founded by Rachel Ferrucci. 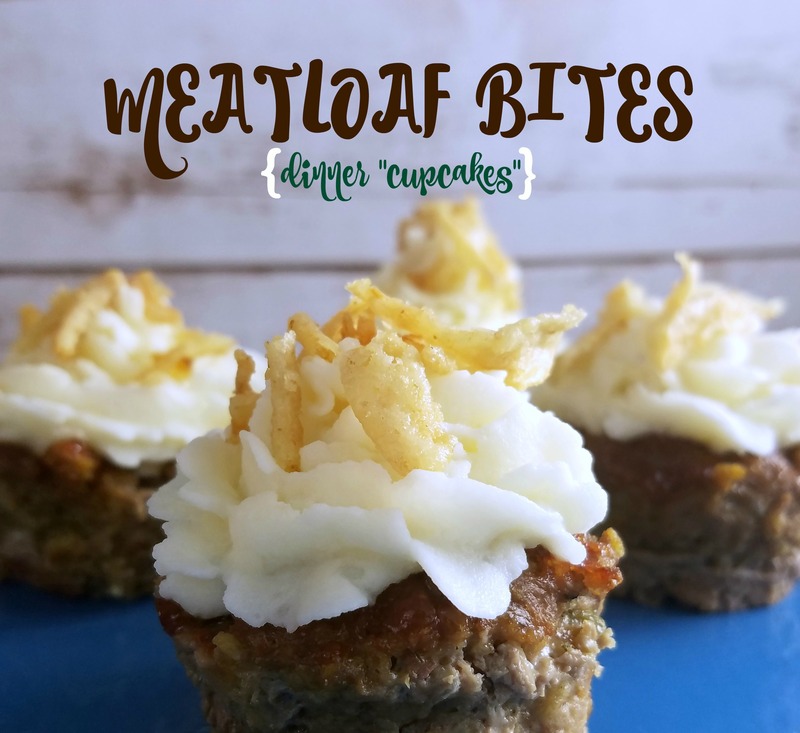 Rachel created the products when she couldn’t find what she was looking for in the stores. She says, “one product specifically, the organic sugar scrub, was created when my daughter had eczema and the doctors were giving us medicated creams that seemed to be drying out her skin. I wanted to give my daughter relief without slopping medicated creams all over her delicate body. I researched and read every book on natural oils and how they can benefit our skin. I was successful in making a product that was 100% organic and alleviated her eczema.” Being a mom of a child with eczema myself, I understand completely where she is coming from. I had the pleasure of reviewing the “Moisture Myst” in the Tropical Paradise scent. The website says that the “convenient spray on moisturizer will revive and hydrate your skin with oils containing natural vitamins to penetrate rather than coat it. Moisture Myst contains no waxes, leaving silky smooth skin with none of the grease.” I love that the spray made my skin feel soft without feeling oily like a lot of other lotions do. I also love the floral smell of the myst which is one of six different scents that the products come in. Rachel says that the myst is great to use right after a shower so your skin will soak it up. Another great use for the spray is as a moisturizer after too much time in the sun. She says if you get a sunburn and use Moisture Myst three times a day, you won’t peel﻿. To try out the Moisture Myst or any of the other products you can visit the Touch’d online shop and buy one. To receive 25% off your order you can use the code “TimeforMommy” (valid June 7th-July 15th). You can also win one here! Rachel is offering a Touch’d Foaming Salt Soak to one lucky reader. This giveaway will end on July 8, 2010 at 11:59pm. Please make sure to include an email address so that I can contact you if you win. I was given the opportunity to review a Keurig-Special Edition Brewing System in exchange for sharing my honest opinion about it with you all. I have to tell you that I was super excited to try it out because of all the great reviews it had received. When it finally showed up on my doorstep the other day I just had to set it up and try it out right away. Because I was busy with my two little guys, my 14 year old sister, Morgan, set it up for us. The brewer comes with step by step directions so it only took my sister about 10 minutes or so to set up. Once the Keurig was setup we had to decide what we wanted to try first. The company generously sent me four boxes of their k-cups- two sampler coffee boxes, one box of teas, and one box of Timothy’s white hot chocolate. We both chose to try out the hot chocolate first. 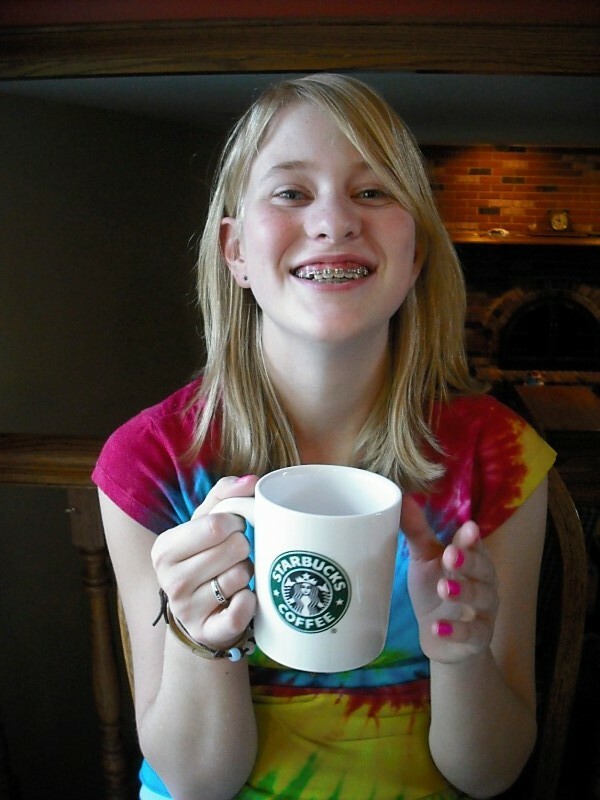 What I loved- I loved that the Keurig had a LCD screen that told me “ready” and “not ready”. It really made it easy to know when it was ready to use. I also loved the fact that there is no messing with coffee grounds and filters or hot chocolate powders. The Keurig uses K-cups and all you do is pop the K-Cup in and close the lid. There is nothing to open as the Keurig has an internal needle that pokes holes in the K-Cup and lets the water seep through. 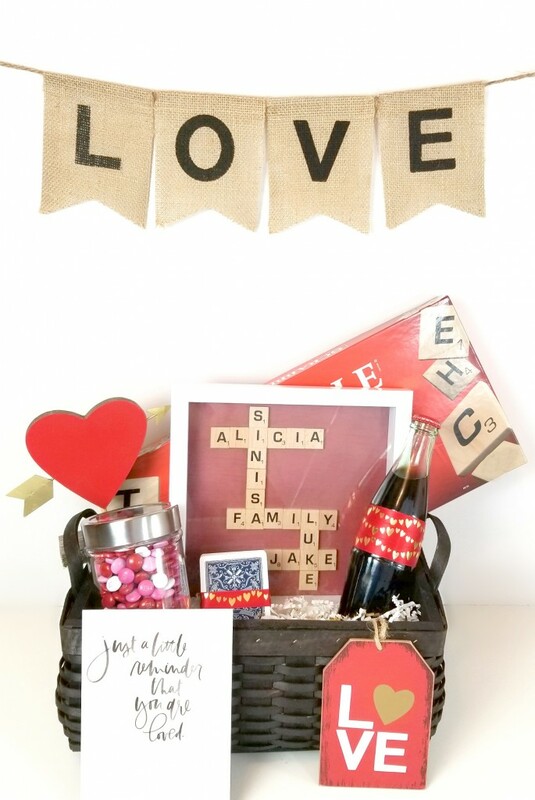 Don’t you think this would make an awesome Mother’s Day gift? I would have shared with my mom but she already has her own :) More information about the Keurig brewing system and their other products can be found online here.